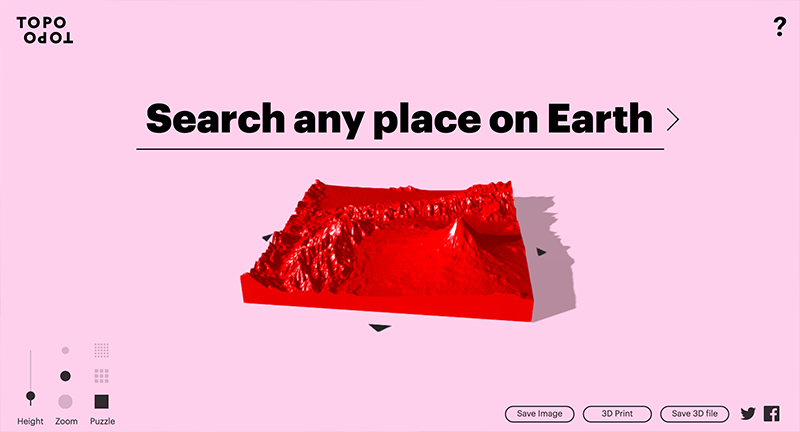 Fun little site that takes places from anywhere on the world and produces a 3D relief of the topography of the area. 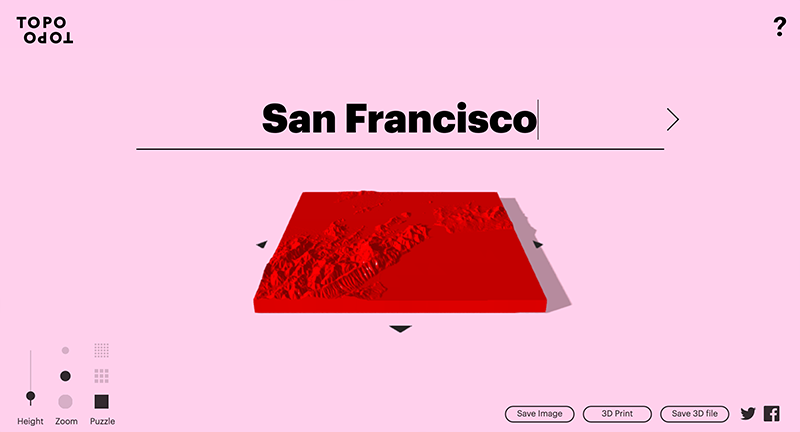 Type in a place and you get a grid, which you can split into a puzzle, make a 3D file and even send off to print. 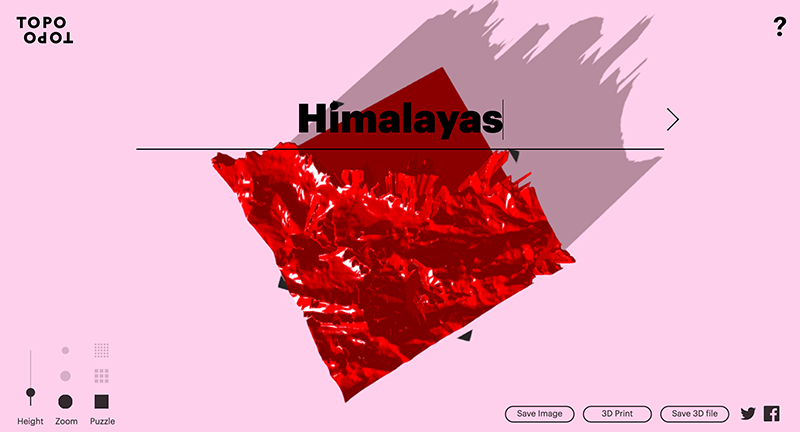 Love the simplicity of the experience, nice idea and nice design.